What a mess! There are about 7-8 loads of laundry that need to be folded. The very full baskets are behind a door but they still mock me and tell me I am a failure. The kitchen sink is full of dishes and we are about to make more of a mess with our breakfast. The house is overall messy and I have not kept up with things like I have wanted to. Our traditions have not been the same this year. I am sad and disappointed because things have not gone the way I’ve wanted. This gives you a picture of what Christmas morning started off like for me this past year. I was in a pouty mood and honestly felt so tired and worn out. 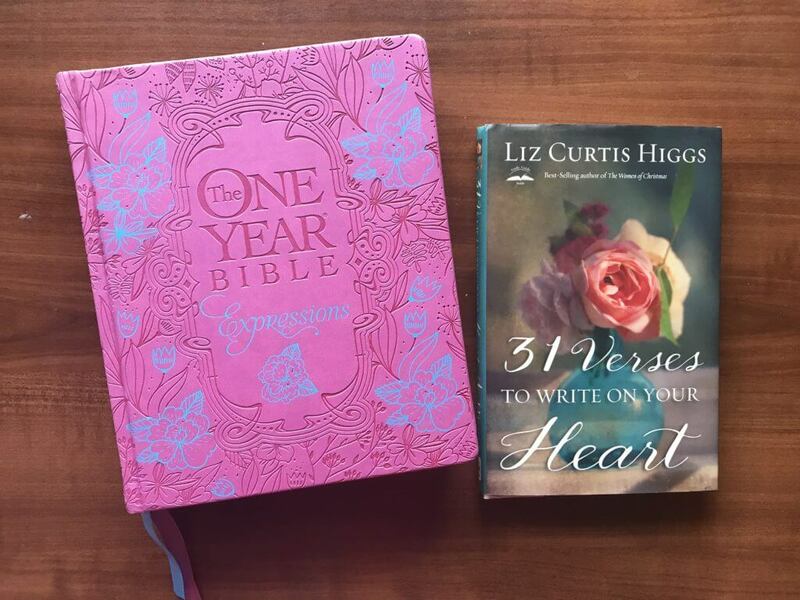 “God please change my heart and speak to me in a powerful way” I prayed. These feelings were not welcome like this all day. This was Christmas after all. I didn’t want to miss celebrating Jesus’ birthday. As we were making breakfast, I opened the egg carton and found our key verse from Psalm 118:34, “This is the day the Lord has made. We will rejoice and be glad in it.” At that moment, I felt so loved and cared for. God cared enough about me to place that egg carton in the right place at the right time. He knew my heart needed to hear that truth. God created this day as a gift. No matter what mess and chaos surrounded me, I could choose to rejoice and be glad in it. The key to this was that I had to make a choice. A choice to rejoice. As we continued preparing Christmas breakfast, my husband and I talked about how to Jesus came to earth as a baby into a very messy stable. Jesus chose to set aside the good things of heaven to come down to a place of disappointment and mess. Jesus knew what a mess He was coming into but chose to come anyway. Why? Because God loved us so much and wanted to spend eternity with us. Jesus came into the world to die so that we may have a life. Jesus knew how his life on earth was going to end, yet He chooses to come anyway. Aren’t you so glad Jesus came? I am. As I looked around at all the mess, I whispered a prayer of thanks to God for sending His One and Only son to the messy stable that Christmas morning. I also thanked Him for refocusing my heart on where it needed to be. I made a commitment to rejoice in the day that God had made. How about you? Will you choose to rejoice in the day the Lord has made? 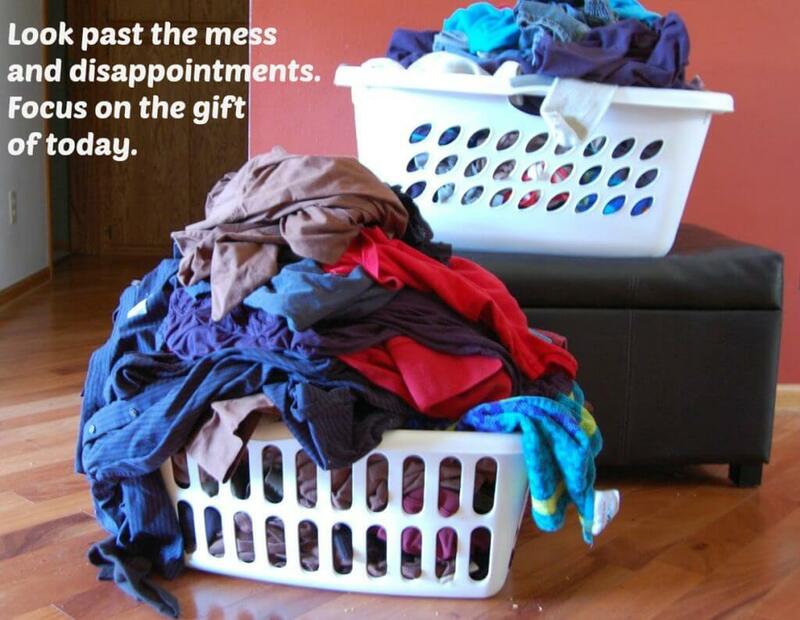 Will you choose to look past the mess and disappointments and focus on the gift today is? Heavenly Father, thank You for the gift of a new day. Thank You for coming as a baby so long ago into this messy and disappointing world so that I may have eternal life. Please help me to rejoice in this day no matter how messy the house is or what disappointments I may face today. Thank You for loving me. In Jesus name, Amen.